Everyone has ideas about how real estate works — and most of them have nuggets of truth in them. But just as certainly as you don’t want to listen to Tiger Woods teach you how to play basketball, you really don’t want to pay attention to an idea that doesn’t come from someone who isn’t an expert in real estate investment. ‘Tested and proven ideas’ should be your mantra, at least until you get several transactions worth of experience under your belt. Any investment has its ups and downs — and realistically, a significant proportion of investors in any area are going to have ‘down’ experiences as their first, and possibly also their second, experience. Certainly 100% of them are going to have ‘down’ experiences at some point. If you need to come out ahead in every single transaction, try something less risky. If you want to win in the long-term with real estate investment, you have to roll with the punches, stay frosty, and focus on the next opportunity. •	Be significantly more valuable after improvement than the purchase+improvements cost. All of the other options for a new real estate investor are going to be either ethically challenged, very difficult to execute, or not profitable enough in the long term to be worth your while. 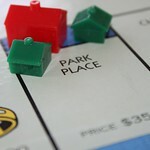 The problem is that only renting means you have no easy ‘out’ when you sell, because you’ll be losing money. Only increasing value means you have to move very quickly, because you have no income to sit on. You should aim for a property that will bring in both cashflow and an end-game, every time, until you have the experience to know how to manage a single-strategy property successfully. Especially when you’re buying an even mildly older home, it’s easy to drastically underestimate the costs needed to bring it up to modern standards. Get familiar with at least a few of the area’s best general contractors and get them together with a building inspector to get a solid estimate of how much repairs will cost — then add 20% or so to over unexpected stumbling blocks. Once the repairs are done and you can start actual improvements, keep careful track of what you’ve done compared to the neighborhood. If you improve so much that your place becomes the best house on the block, you run into entirely other problems — the most painful of which is that you won’t be able to get a rent high enough to commensurate with your improvements. The last great mistake common to new investors is thinking that they can get out of a less-than-desirable situation by selling or renting a house for more than it’s worth given it’s condition and neighborhood. The fact is that every month you sit on a house without collecting rent or selling costs you money, and it’s very easy to lose more money waiting for the right tenant or buyer than you’d lose by dropping the price and taking what you can get. Thanks for addressing different types of mistakes done by newbies which have a negative influence on the real estate investment. People underestimate the importance of homework prior to the investment which not only endangers their investment but also influences the profit margin. So, one should be very careful while investing. Factors critical for such kind of investment should be strictly considered prior to investing in the real estate property. Apart from this, guidance from an experienced professional could be very useful for such kind of investment.